On 10 December 2018, the Court of Appeal (Civil) Rules 2005 were amended by Order in Council. The amendments take effect on 1 March 2019. The Court of Appeal (Civil) Amendment Rules 2018 make a number of changes to the principal rules consequent on enactment of the Senior Courts Act 2016 and certain other changes approved by the Chief Justice and the Rules Committee. A consolidated set of rules is expected to be published by the Parliamentary Counsel Office shortly after the amendments come into effect. New rule 5A, reflecting the more extensive responsibilities given to the Registrar by s 64 of the Senior Courts Act, gives the Registrar powers to (1) decline to accept a document for filing on the grounds that the document contains plainly abusive material, unless that material is removed, or that the document is plainly filed in the wrong court, and (2) extend the time within which a person is required to comply with a rule, direction, or order of the Court with the consent of the affected parties or (absent consent) by up to 5 days. Changes to rule 9 require: (1) the heading to all documents filed in the Registry to include the name of the Court in te reo Māori (I te Kōti Pira ō Aotearoa), as well as in English, and (2) all paper documents presented for filing to be in single-side format except for authorities and the case on appeal, which may be double-sided. New rule 10A makes it mandatory for a party who files or serves a document or bundle of documents electronically to comply with the Senior Courts Civil Electronic Document Protocol. New rule 10B deals with the way in which a person may make an informal application where a rule (or a judgment, order, minute, or other direction of the Court) provides for such an application. The rule permits the application to be made by letter or email without payment of a fee. New Part 2A provides for interlocutory applications, a subject not previously provided for in the rules. The new Part covers all interlocutory applications other than applications for leave to appeal. New rule 27B requires an interlocutory application to be made in new form 3, and rules 19A, 19B, 23, 25, 26A, and 27 apply to the application as if it were an application for leave to appeal. New rule 33A imposes an obligation on the respondent to an appeal to file and serve a response to the notice of appeal, in new form 4, within 10 working days after the date of being served with the notice of appeal. There are new provisions dealing with security for costs. Rule 35(1) and (11) now enable the Registrar to extend the time for applying to vary the amount of security for costs required to be paid or deferring the date on which it must be paid and to revoke a requirement for a party to pay security for costs on proof that the party is legally aided. Changes to rule 37(1) and (2) enable the Court to (1) make an order striking out an appeal on its own initiative if security for costs is not paid by the time payment is due and (2) preclude an appellant from applying to the Registrar for the allocation of a hearing date not only if security for costs has not been paid (as is currently provided) but also if any prescribed fees are outstanding. New rule 38(3)(d) requires a party, when applying to the Registrar to allocate a hearing date, to provide a brief statement of the issues likely to arise on the appeal, including whether any novel point of law or challenge to established authority is involved. There are changes to the rules governing the case on appeal. These include changes to rules 39(1) and 40 to modify requirements concerning the appellant’s obligation to consult when preparing the case on appeal, the form of the case on appeal (each volume to have a different coloured cover and a label showing the volume number on the spine), and the number of copies to be filed and served on other parties. New rule 40E makes a number of changes to the rules concerning written synopses of argument: (1) the written argument (synopsis) may comprise only 25 pages in total; (2) if a synopsis exceeds that limit, the Registrar must decline to accept it for filing (unless the relevant party has obtained the prior leave of a Judge to file a longer synopsis); (3) the synopsis must comply with any relevant practice note of the Court; (4) the synopsis must be accompanied by a chronology of key dates, if appropriate; (5) a party may not argue a point at the hearing if that point is not included in the synopsis, unless the Court gives leave for the point to be argued; and (6) the times for filing synopses are extended from 20 to 25 working days for the appellant and from 10 to 15 days for the respondent (in each case prior to the hearing date). Your attention is drawn to the new Practice Note for Civil Appeals issued by the Court on 1 February 2019. Changes are made to rule 43, which deems an appeal to be abandoned if the appellant does not apply for the allocation of a hearing and file the case on appeal within three months after the appeal is brought, to give the Registrar the power to suspend the rule from applying for periods of up to one month where status regarding legal aid or security for costs remains at large. The Court’s power to grant an extension under rule 43(2) remains unchanged except that the appellant must apply by interlocutory application. New rule 44A provides a power to the Court to strike out an appeal, on an interlocutory application or on its own initiative, if (1) the appellant is in continuing default in complying with the rules or with any procedural direction or order made by a Judge; (2) the appellant has failed to prosecute the appeal with due diligence and dispatch; or (3) the appeal is frivolous, vexatious, or otherwise an abuse of the process of the Court. The Court must give the appellant 10 working days’ prior notice of its intention to consider making an order under this rule, and make ancillary directions as to the filing and service of any written submissions. The Court may make an order under this rule on the papers or after an oral hearing as it thinks fit. The Court may also order a stay under this rule on any terms that the Court thinks appropriate. The new rule also applies to cross-appeals. New rule 47A permits a party to provide the Court with an outline of the party’s argument at the hearing. However, a new maximum two-page limit applies and the outline must be cross referenced to the synopsis, the judgment appealed from, and the record of the case. A copy of the outline must be served on the other party not later than 5 pm on the last day before the hearing. New rule 52B deals with the disposition of security for costs after judgment. The Registrar is to seek the parties’ advice as to how the amount held as security should be disposed of. The Registrar, if satisfied that there is no reason for the amount to be disposed of in any other way, will direct that the money be disposed of by (1) refunding it to the appellant, if the appeal was successful; or (2) paying it to the respondent, if the appeal was unsuccessful. If not thus satisfied, the Registrar must direct how the amount is otherwise to be disposed of. New schedule 1AA provides transitional provisions. 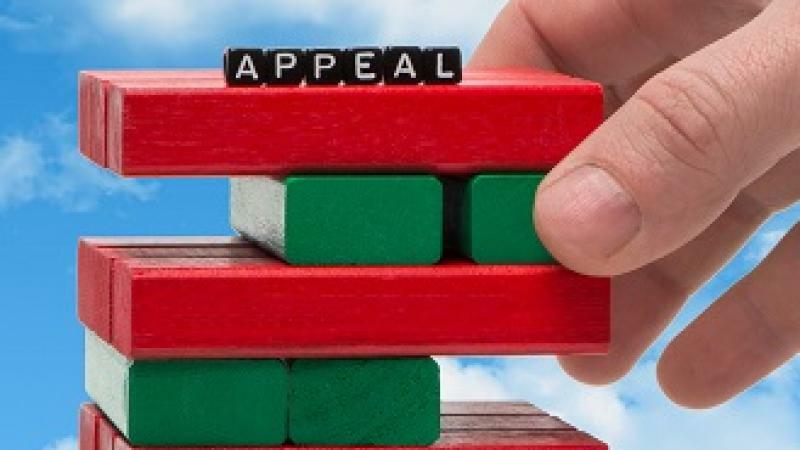 Appeals in progress as at 1 March 2019 may be continued and completed under the amended rules, and the amended rules, so far as practicable, apply to those appeals. To the extent that it is not practicable for any provision of the amended rules to be applied to a specified appeal, the rules as in force immediately before the commencement of the amendment rules apply to the extent necessary. If a question arises as to which rules are to apply, the Court or, on the direction of the Court, the Registrar may determine the question and make any order that the Court or the Registrar thinks fit. For the avoidance of any doubt, the revised page limits apply only to documents filed and served after 1 March 2019. A copy of the summary of changes to the rules can be found at the bottom of this page.